Earlier today, photos from a Ford event taken by somebody who has almost certainly been killed by now circulated of what appears to be the upcoming Ford Bronco or Baby Bronco. But everyone was so excited we seemed to have missed an easter egg revealing the crossover to be the Baby Bronco for sure, while also hinting at what the upcoming bigger Bronco will look like. Photo via Bronco6G. Used with permission. 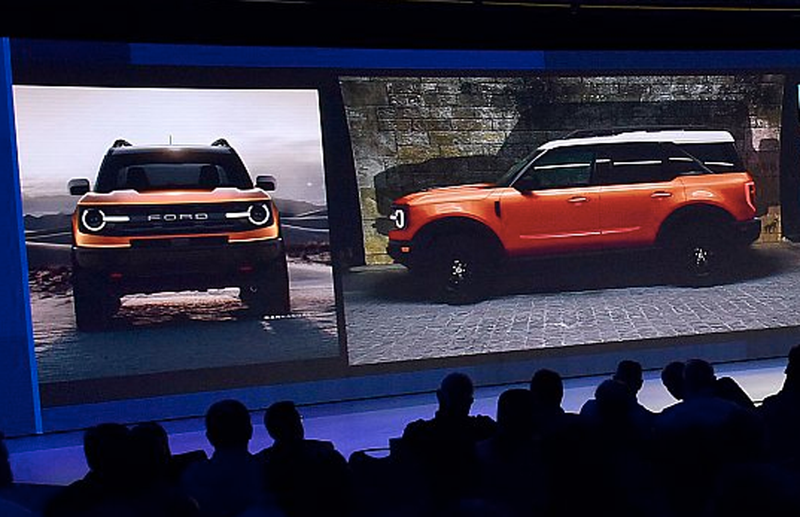 Of course we can’t say for sure that the photos show the Baby Bronco, nor a shadow easter egg of the larger Bronco SUV, but we know Ford has been working on both, that’s sure what these look like, and that these photos were reportedly taken at a Ford dealership conference in Las Vegas. What else could they be? It makes sense that Ford would want to totally cash in on bringing the Bronco back, but I’m just concerned it’s going to be too worried about soft-roaders to nail down a great Wrangler-competitor, if that’s even what it was going for in the first place. Either way, I like the look of what I’m seeing so far, and in the end, they’re going to sell a bunch of them regardless. Big h/t to Bronco6G for sending the tips along.